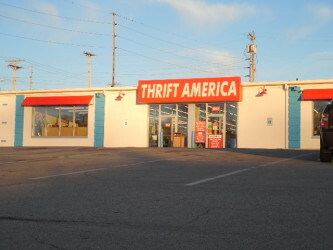 Thrift America has been in business since 1985, we recycle Tons upon Tons of materials each year. Our store prices are very affordable! 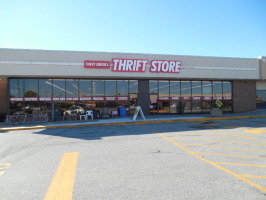 We sell everything from A to Z, you will find kitchenwares, housewares, home accents, large and small furniture, large and small appliances, beds, bedding and linens. Choose from all genders and sizes of clothing and shoes. Also, find books, magazines, music, videos, toys, antiques, collectibles and a whole lot more. Our selection changes daily as we add 1000's of items to our inventory each day. We offer 2 color coded sales each week. One is.. 50% off original price, second is.. item reduced to .99 cents, items under .99 are original price the week the color is .99. Most items are sold within 10 days of hitting our shelves, so stop in often to see whats new. When you donate to our store we donate to our non-profit sponsor.